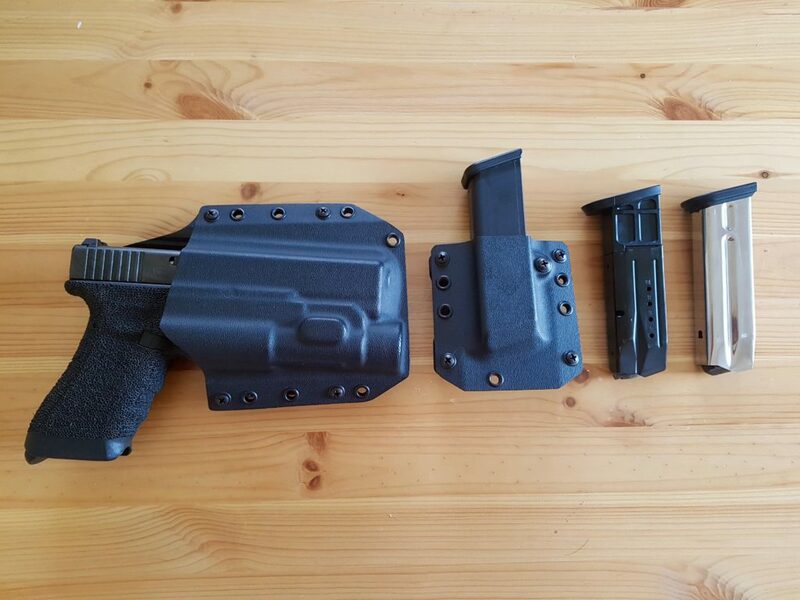 Ah…kydex holsters have come a long way. Or at least the ones that can hold a handgun+light without going the bulky one-size-fits-all route. Follow me as I review Bravo Concealment‘s OWB (outside the waistband) holster with light and their universal pistol mag holster. Not looking for OWB? Check out our Best Holsters for Any Way You Carry or Best Ways to Carry for Women. This was one of those things that I never knew I needed until Bravo sent me one of their holsters. I was fine for years going to the range, competitions, classes, and BLM excursions with my trusty (but bulky) Safariland holster of yesteryear. But hey…if there’s an option to have something specific to your current gun…I’m going to take it. Enter their OWB light bearing model for my Glock 17 with Streamlight TLR-1. Side note…this was one of the few times I wasn’t using my competition belt that’s super sturdy. Instead I only used the velcro inner-layer which was not the best for a holster. 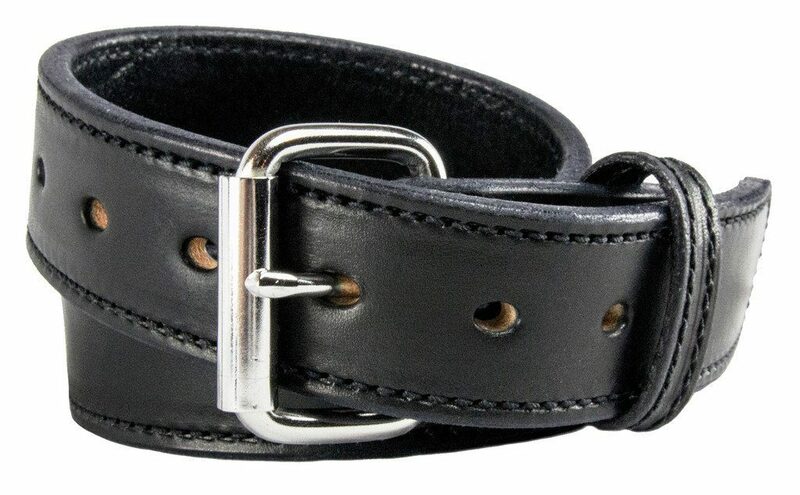 If you’re looking at daily OWB or IWB (inner waist band) carry, go with what I’m currently testing ($60) and loving since it’s sturdy but not tactical looking. It retains well…I don’t think it would come out if I took a tumble or somehow ended upside down. Everything that’s supposed to be covered (like the trigger) is correctly covered. And it’s still easy enough to unholster at speed. Plus pretty form fitting where if I were wearing a jacket I don’t think I’d have a problem concealing. 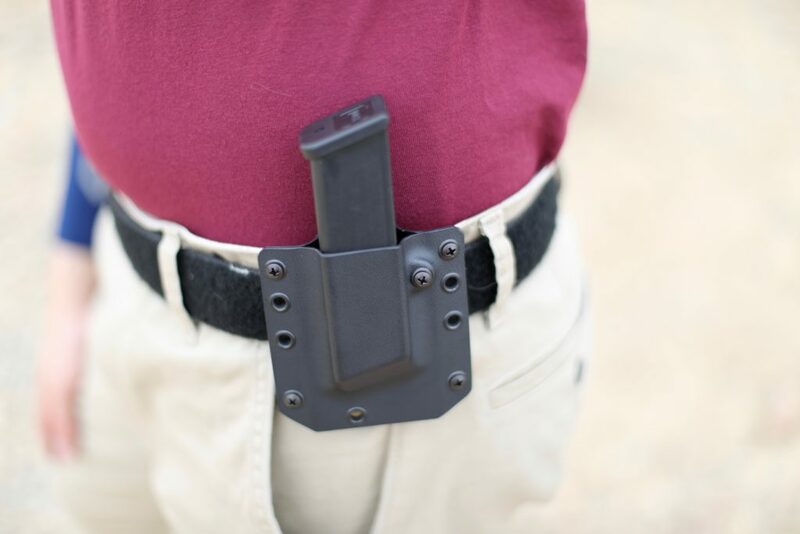 You probably want some additional ammo to go with that gun…so here’s their Universal Mag Holster ($30). With a tightening screw you can fit most double-stack 9mm and .40 magazines. My full-size 9mm Glock mags fit perfectly and with a couple turns I also fit my M&P 9mm mags. However, my 9mm XD mags were still too thin to fit. But then again…they weren’t on the list of mags that would fit so I can’t fault them there. Also very easy to grab for reloads. 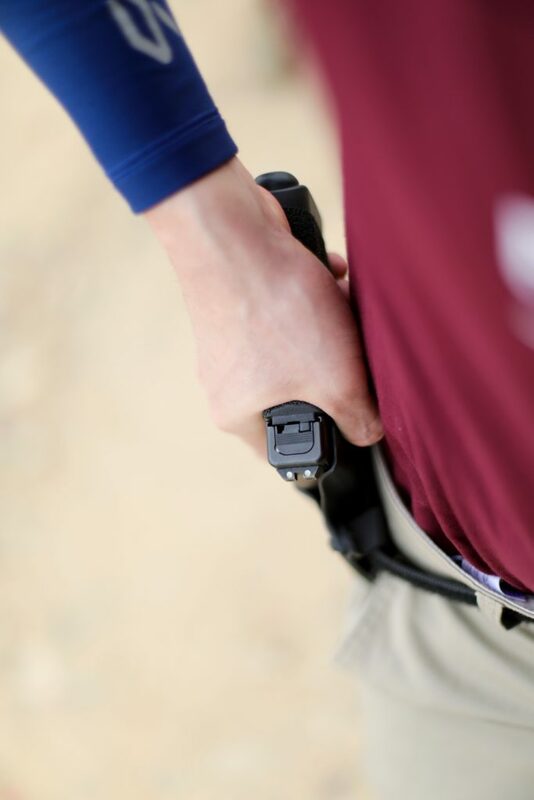 Ok…so there’s a bazillion holster companies out there…what makes Bravo special? 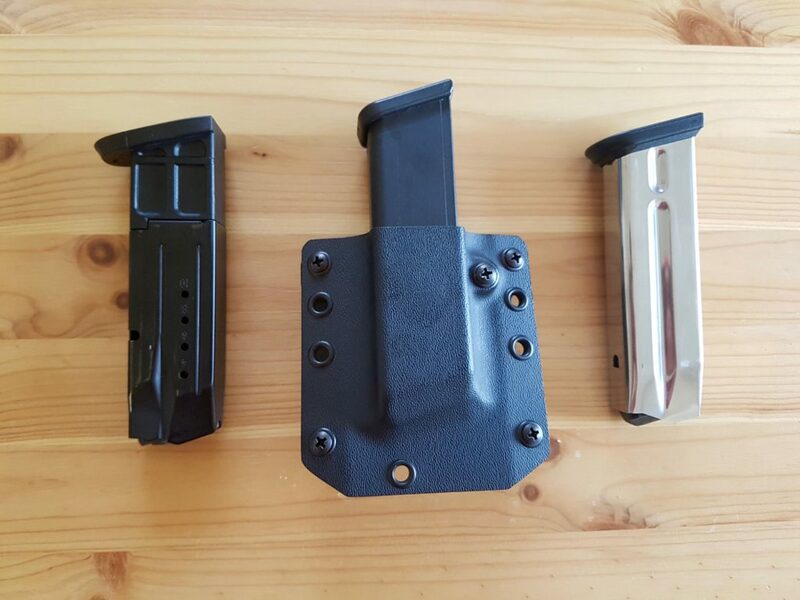 A holster runs around $50 while a combo of holster + two mag holsters is around $87. 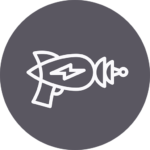 What I especially like is their speed and availability of holsters in stock. Not on their list? They still have their custom shop but be prepared to wait the industry standard. 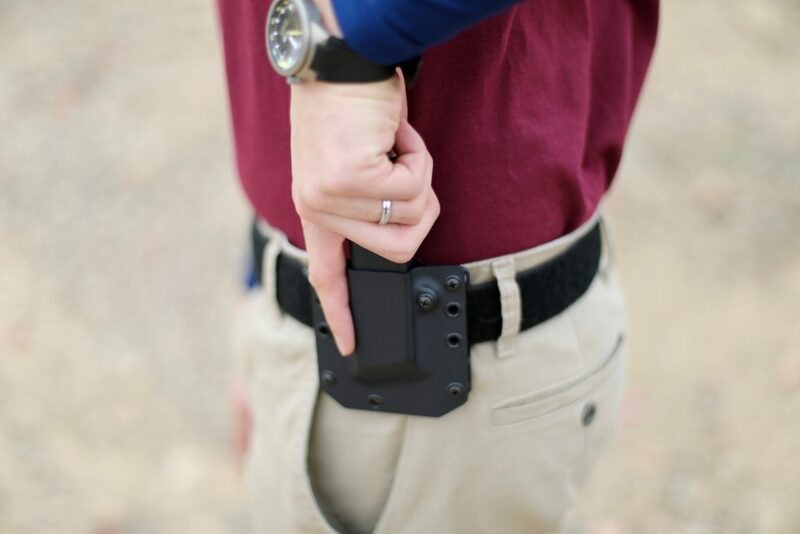 If that doesn’t satisfy…check out my list of the Best Holsters for Any Way You Carry. Let me know how you like them, or who else you went with, and if I have a future as a holster model? One problem I have with Bravo is their lack of left handed options. 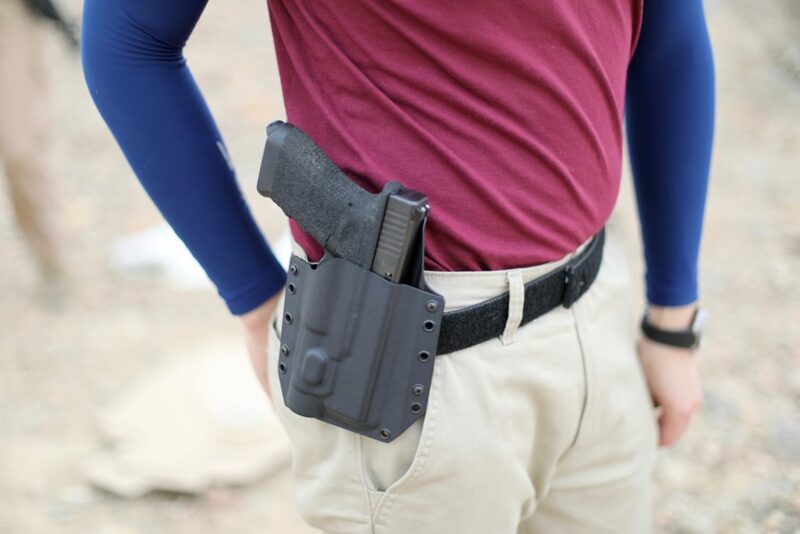 I would buy own of their holsters in a heartbeat if they had a left handed option for Glock 17 with light attachment. 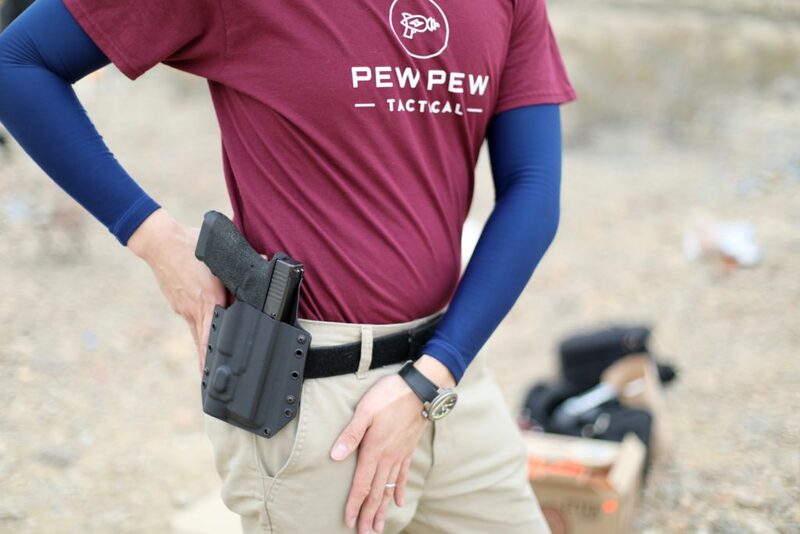 I’m new to shooting so I admit I’m ignorant to a lot, but I’m curious, why not have the holster lower closer to the resting hand position versus up higher on the belt. Obviously that placement is successful, but is it easier, faster, more comfortable, safer? Why lot lower on the leg? 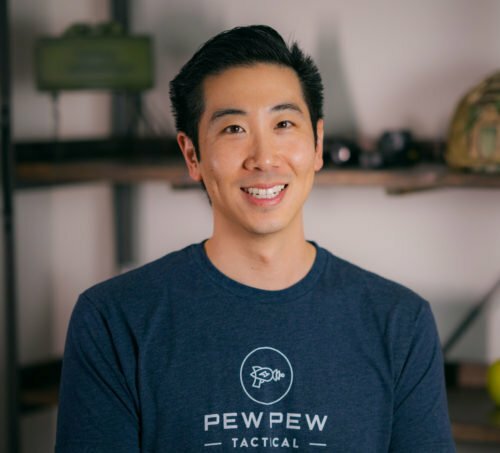 I’m with AC on the Stealthgear holsters. Absolutely fantastic retention, Adjustability, and the comfort level is when I’ve not found with any other holster set up except some of the top of the wine leather. But as I sweat a lot due to a spinal injury leather isnot an option anymore. I’ve tried just about every combination you can think of and next to Stealthgear my choice would be alien. I’ll have to check them out…and trying out Alien Gear for IWB right now too. 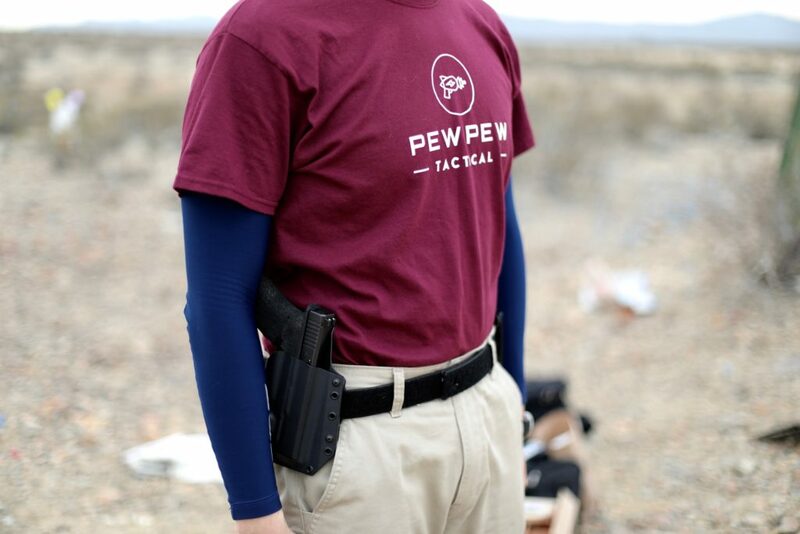 Next time you’re using it, can you throw on a jacket and tell us how it works for concealment? Lol yea…first holster review for me. Lessons learned. I’ve used Bravo Concealment holster for the past year or so for my Glock 19. I have also purchased the optional equipment for IWB depending upon my circumstances. 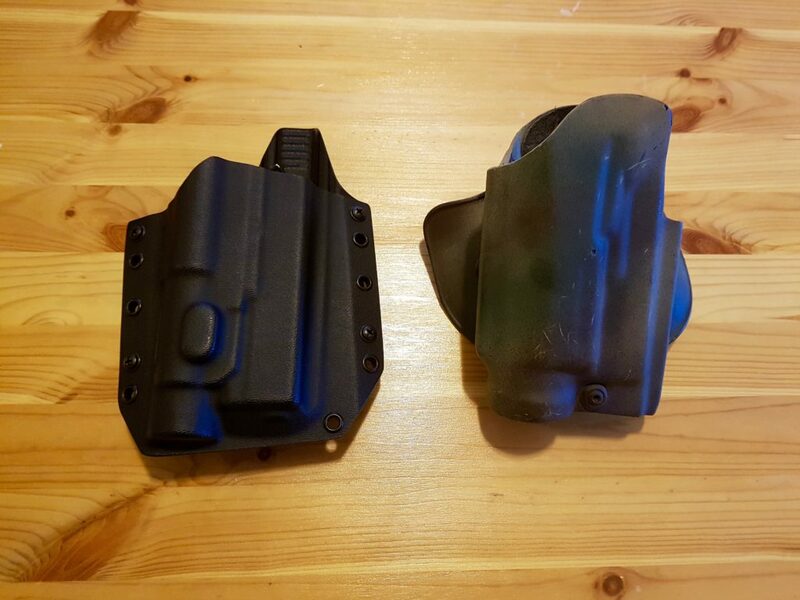 I have used the holster for IDPA as well as my CCW, and find it to be an excellent choice for my purposes. I highly recommend them. Nice…glad you like your Bravo!